In May 2015, Damas Patrick Mbaga came on board as African Wildlife Foundation’s first hydrologist. 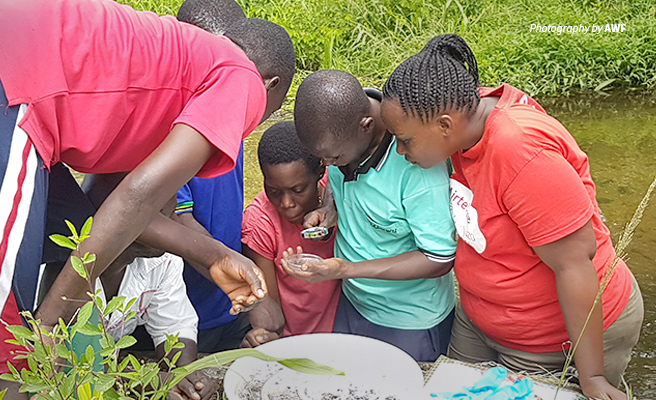 Stationed in Mbeya, Tanzania, he spent the next few years teaching local communities how to better manage their water sources in one of the main sub-catchments supplying water for the Great Ruaha River, which flows downstream through Ruaha National Park. Mbaga is still based in in the rapidly changing wildlife-rich landscape of Southern Tanzania, overseeing community-led river monitoring initiatives within Kilombero’s Rufiji Basin as part of AWF’s work with the IUCN Sustainability and Inclusion Strategy for Growth Corridors in Africa (or SUSTAIN-Africa) program. 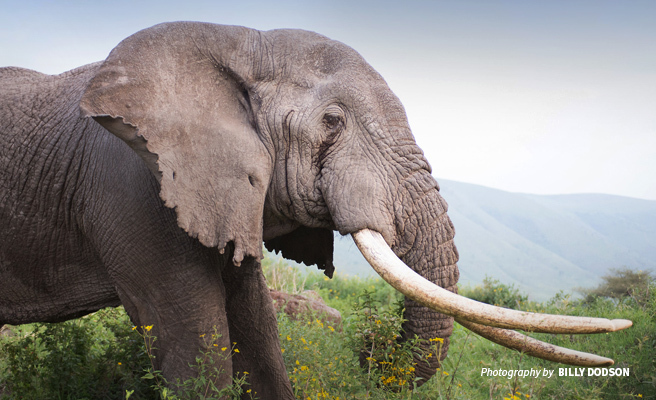 In the past few years, we have seen a big movement toward domestic bans for ivory and rhino horn from major consumer countries, including China, Taiwan, Hong Kong, and the United Kingdom. However, other countries are lagging behind — in Laos and Japan, ivory is traded openly as a luxury commodity in markets and even online. In New Zealand, carved ivory fetches high prices at auction houses and antique shops, and many items are re-exported under lax regulations and could re-enter the market, fueling demand. 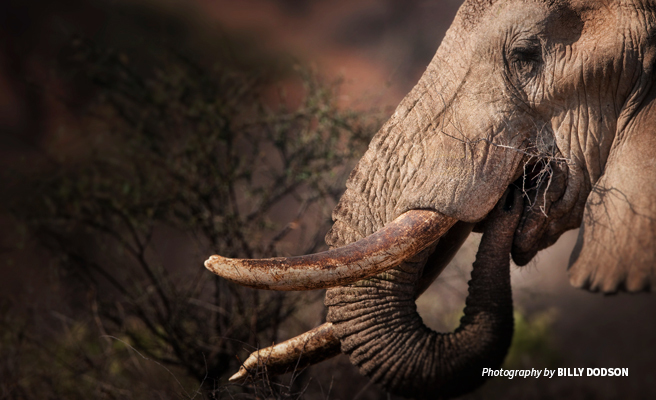 African Wildlife Foundation CEO Kaddu Sebunya explains why these countries need to ban the domestic trade of ivory before it is too late for Africa’s elephants. For the first time ever, women will join the forty-plus team of community scouts patrolling Mbire district in Zimbabwe’s wildlife-rich Lower Zambezi Valley. 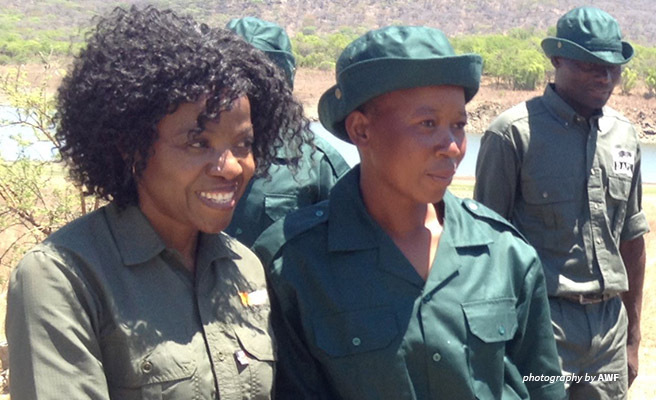 For Country Manager Olivia Mufute, who leads African Wildlife Foundation’s community conservation and wildlife protection programs in the landscape, adding female scouts to the force is not a minor achievement. In fact, it marks the beginning for Zimbabwe’s rural women striving to create a new future by taking up active roles in biodiversity protection. Driven by international poaching syndicates as well as local bush meat hunters, the illegal killing, trading, and trafficking of wildlife and wildlife products keep African species at risk. 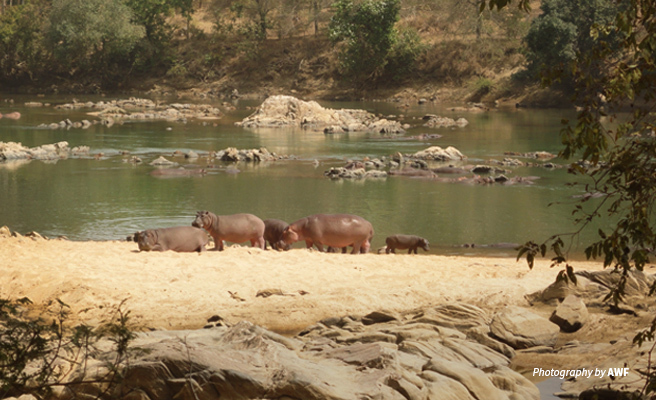 Learn from Didi Wamukoya, African Wildlife Foundation’s Senior Manager, Wildlife Law Enforcement, why the continent needs watertight investigative, prosecutorial, and judicial processes — coordinated across regions — to adequately protect its wildlife.